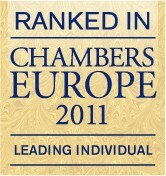 The new edition of Chambers Europe was published in May 2011. 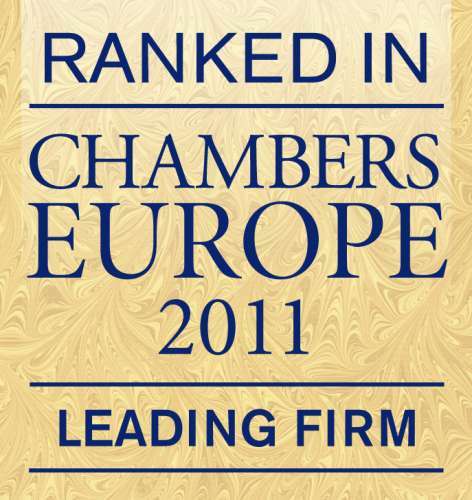 We are pleased to inform you that both our law firm and DZP’s partners have again been recommended. As in prior years, the following partners were recommended in the above categories: Prof. Grzegorz Domański, Józef Palinka, Krzysztof Zakrzewski, Magdalena Skowrońska and Lech Żyżylewski. We are also very pleased to inform you that for the first time Dr hab. Marcin Matczak, Janina Ligner-Żeromska, Aleksandra Auleytner, Bogusław Kapłon and Paweł Lewandowski joined the group of recommended partners in their categories. Paweł Lewandowski was also recommended for the first time in Dispute Resolution by PLC Which Lawyer? (together with Prof. Grzegorz Domański and Józef Palinka).